Just in time for the Super Bowl, we bring you our top 5 list of NFL football players who became successful actors! It’s Super Bowl time. It’s time to see a bunch of grown men dress up in costumes and helmets and physically assault one another, all for our amusement. Yay! Whether you watch the Super Bowl for the game itself or for the commercials or for the halftime show or for the parties or for all of the above, the big game has something for everyone. NFL football has produced many successful businessmen, politicians, and, yes, actors. In honor of this year’s Super Bowl, we give you our list of the top 5 professional football players-turned-actors. The late Bubba Smith (February 28, 1945 – August 3, 2011) was drafted in the first round in 1967 by the Baltimore Colts. In his nine-year career, Smith also played for the Oakland Raiders and Houston Oilers and made two trips to the Pro Bowl. 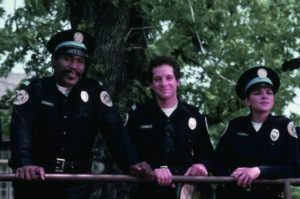 Smith’s acting career included a role as the gentle giant, Office Moses Hightower, in the Police Academy film series of the 1980’s, as well as a memorable role as “Spare Tire” Dixon on Fox’s Married with Children. Carl Weathers signed on as an undrafted free agent for the Oakland Raiders in 1970. He would appear in seven games as a linebacker before being released and finishing his football career in the Canadian Football League. 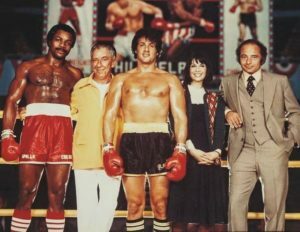 Weathers’ most memorable role came when he played Apollo Creed in the Rocky film series of the 1980s. He also appeared in movies like Predator, alongside Arnold Schwarzenegger, and Action Jackson (1988). Before he was accused of murder, following the death of his wife, Nicole Brown Simpson, and the resulting “Trial of the Century” in 1995, OJ Simpson was a beloved football player. He was drafted with the first overall pick by the Buffalo Bills in 1969 and played 11 seasons. In 1985, Simpson was inducted into the Pro Football Hall of Fame. Simpson’s telegenic looks and affable personality led him to a reasonably successful acting career. His most notable role was as Detective Nordberg in The Naked Gun: From the Files of Police Squad! (1988), a role he would revise in The Naked Gun 2 1/2: The Smell of Fear (1991) and Naked Gun 33 1/3: The Final Result. 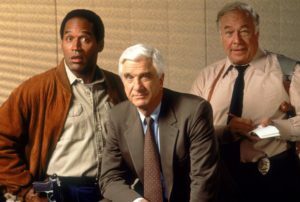 Following his acquittal in the murder of his wife and Ron Goldman, Simpson’s acting career went up in smoke, since many people believed he should have been found guilty. 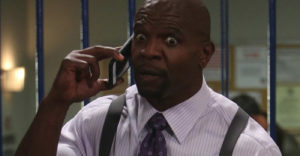 Football player and actor Terry Crews was drafted by the Los Angeles Rams in the 11th round of the 1991 draft. He played defensive end and linebacker for the Rams, San Diego Chargers and Washington Redskins before establishing himself as a major player in Hollywood. Crews’ breakout role came as “Damon Pearly” in Friday After Next, starring rapper-turned-actor, Ice Cube. His career took off from there, with notable roles in television shows like Everybody Hates Chris, Are We There Yet and Brooklyn Nine-Nine. Jim Brown is considered by many to be the greatest running back to ever play in the Nation Football League. He was drafted with the 6th overall pick by the Cleveland Browns in 1957. Brown lead the NFL in rushing in eight of his nine seasons and was enshrined into the Hall of Fame in 1971. Brown cut his illustrious career short when he was bit by the acting bug. 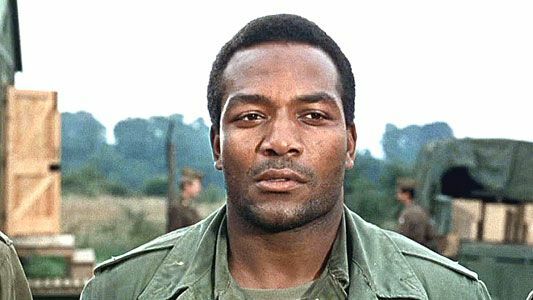 Brown’s acting career soared in the 1960’s and 1970’s, with leading man roles in movies like Riot (1969), …tick…tick…tick (1969), Slaughter (1972), and Three the Hard Way (1974).